Koree' Randolph – All I Want (new CDS Records artist), Mel Waiters – My Check Is Spent (from the new Got No Curfew album), Luther Lackey – Blind, Blind Snake (from his new The Contender album), Ghetto Cowboy – Staying In Love With You (from his new Check Your Mailbox album), Frank-O Johnson – H-U-R-T (from his new Only Time Will Tell album), Bobby Conerly – Home To You (from the 2011 Take What's Left Of Me album) Captain Jack Watson – You're Full Of Temptation (from the 2010 Brand New Man album), Vel Omarr – Everybody's Dancin' (from his new The Greatest Song I Ever Sang album), Avail Hollywood – Domestic Love (from his Drinking Again album), Charles McCormick – Why Baby (from The Many Moods Of Charlie Mack album) Roni – It's Saturday Night, Bill Avery – Try Me, Choppa – After Party, Steve Perry – Twurk & Slide. I'm all over it, just gotta give 'em a little time and space. Check out our May Top 45 at the bottom of the column for several new tune entries as well. What else can you say about the incomparable Donnie Ray? He is a bonafide star in multiple markets and genres. 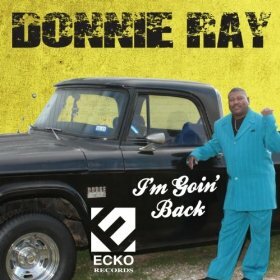 Donnie's latest, I'm Goin' Back, his 8th album release on the Ecko Records label, is full of outstanding tunes. High energy Donnie bursts forth from the title track as well as I'm Looking For A Woman, Let's Swing Out, If We Can't Get It Right, She Was At The Hideaway and Southern Soul Blues Slide. Mid-tempo shuffles Bring Back My Blues, Are You Ready For Me and She's A Real Hot Lady are of equal vocal quality. One of the top tracks on the album has to be the nostalgic I Remember Those Good Old Days. Donnie's smooth delivery is easily recognizable as he sings every tune with a passion that is convincing to the listener. This album may be the best effort to date for the Texarkana, Texas native who has certainly had some strong releases over the last several years. Although only out less than a month, it has already jumped to Blues Critic's #1 spot on their Top 40 Soul Blues albums chart! Go on wit' it, Donnie Ray! Unassumingly, albeit almost quietly, Pat Cooley continues to make he mark as one of the outstanding first ladies of Southern Soul. She is far removed from the days of looking to be discovered by singing in Atlanta nightclubs. The veteran performer has proven her mettle with hits like Boy Toy, Real Thing, Older Woman Younger Man and Be A Man. Pat's vocal delivery is not flashy, but with an even keel of soulful grit and purpose. Her latest album, Talking To You, with new collaborator Rob Harris, is already registering high water marks for quality and content. Pat's strong conviction is ever present on No Mess, the first hit out of the chute. The title track has hit potential (although Pat's website may not agree) and I also like her rendition of Paying The Cost To Be The Boss. What about Bring It Baby and Dirt Road Double Wide?? Most definitely! Callin' it out, it is what it is, that's what Pat is sayin'!!. Real woman talk, straight up and jumpin' off!! Another outstanding outing for a lady who continues to demonstrate rising stardom! He is the reigning mix master of today's Soul sounds, and fast becoming one of the top arrangers/producers as well. Do ya'll get what Bigg Robb is layin' down? Well, Soul Dog is an Ol' Dawg but I believe I do. His grown folkz prescription is really about where it's at today - don't hate, let's us all love and live cause they ain't no joy in the alternative. 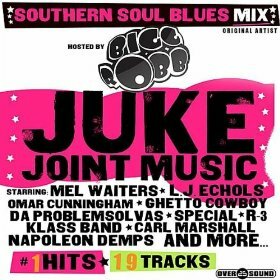 Juke Joint Music is Bigg – 19 tracks of re-mixes, collaborations, retros, old skool, new kool, the way we roll, etc. Lookin For A Country Girl (cornbread and Joe Louis corn likker, back in the cut!) is already smokin' hot. Killer dance cuts - Sugar Shack (re-mix from Klass Band Brotherhood's bomb, they doin' it strong in North Augusta, South Cackalacky), Down South Party (featuring Special), Candy Lover (featuring R-3), Booty Whipped (re-mix featuring Napoleon Demps) and BYOB (re-mix with Mel Waiters). More jams featuring L.J. Echols, Carl Marshall, Shirley Murdock, Ghetto Cowboy, Omar Cunningham and the list goes on. Previous bell ringers like The Crying Zone, Family Reunion and Young Folks Love The Blues all here too, this joint covers a lot of territory. Bigg Robb is pullin' the chairs up in the yard, throw a light on the fish grease and let's party, ya'll!! 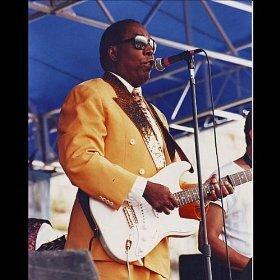 I was just a teenager trying to figure it all out when Clarence Carter, the immortal Dr.C.C., was traveling to Fame Studios in Muscle Shoals, Alabama back in the '60's to lay down some amazing hit records. Any of ya'll remember those AM radio cuts? ''Baby, could you just slip away....” Slip Away, Too Weak To Fight, Patches all back in the day! Now some 40 plus years later, Clarence is still getting it done! 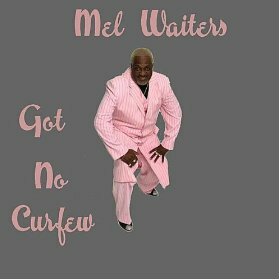 His latest album released late last year, Sing Along With Clarence Carter, holds 10 tracks of a bewitching mix, both new and old, with some tantalizing Dr. C.C. lyrics in the potion. I'm partial to the upbeat groove of the re-issued Let's Start Doing as well as I Want To Mark Your Card and Don't Bother Me. He verbally interprets the meaning of the song before kicking in on a new version of an old standard, Looking For A Fox. A hint of the strains of the early Atlantic Records sound is familiar on Look What I've Got. All good stuff, Clarence is still rockin' strong, loud and long! One of the most consistent artists in Southern Soul over the last 15 years has been Stan Mosley. Although his songs have not always been as widely acclaimed as some of those of his peers, his talent has certainly not gone unnoticed. Mosley has that pure soulful voice that transcends time. Stan, who just celebrated a 60th birthday milestone on May 6th, shows no signs of slowing down. A Chicago native, Stan spent some time in East St. Louis in the mid '70's as a member of The Sharpees. Returning to the Windy City, he performed on the local club circuit for many years, always being hailed as one of the area's top R&B performers. The drastic changes in the Soul/R&B climate in the '80's, however, forced Stan to re-look at his career. 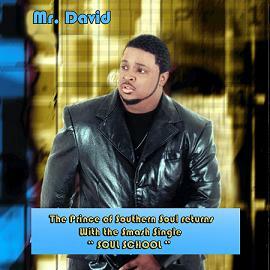 He joined a music ministry for awhile and later tried his hand at recording and producing his own album. He eventually signed on as an opening act for veteran singer Cicero Blake in the mid-90's. An introduction to Tommy Couch, Sr. followed by a brief interview with a demo tape proved to be so impressive that it led to a recording contract with Malaco Records in 1997. Over the next 5 years, Mosley released 3 albums - The Soul Singer, Souled Out and Do Right. Significant hits and stellar songs during this period included: Rock Me, Don't Knock My Love, Anybody Seen My Boo, Ain't No Woman, U Can't Keep Throwing Our Love Away, No Mistake and Pretty Lady Do You Wanna Dance. Stan moved on to the New Orleans based Mardi Gras label, releasing Good Stuff, in 2003. The 10 Floyd Hamberlin written tracks included jewels such as Juke Joint, 'Til The Cops Come Knockin', and Rockin' Slide. It's almost like Stan took a pause at this point in his career and said 'wait a minute, I can write some of my own material'. The result was the highly acclaimed album Steppin' Out, which combined strong rhythm tracks with soft ballads on which Stan wrote or co-wrote 7 of the offerings. New musical challenges arose in 2008 when West Coast based CDS Records came calling. Mosley proved to be ready, releasing Man Up, 12 cuts written by his fellow Chicagoan Hamberlin. Solid jams: Crazy 4 U, I Came To Party, Mr. DJ and Startin' 2 Stop as well as the title track. Stan also experienced a life changing event at this point in time, having heart surgery. He recovered well and responded strong with I'm Comin' Back, a collection of Carl Marshall/Stan Mosley collaborations on such tunes as Change (Family Reunion), I Can't Live Without Cha, Shake It Off and So Called Friends. (Important side note: Carl Marshall recently suffered a stroke, please keep him in your thoughts and prayers!) Lockdown was another killer groove from the album, a special inclusion written by Mark Safford, somewhat better known in Southern Soul circles as Mr. X! This tune was nominated for a 2010 Jus Blues Award for the Best Soul/Blues Song of The Year. Stan's 3rd album with CDS, I Like It, featured several re-mixes and guest stars, including Rue Davis, Carl Marshall, Jamonte Black and Nellie Tiger Travis. The soulful collaboration on Reach Out is alone worth the price of the entire album! Stan's latest project - a studio version single release of the very spiritual God Is Alive. 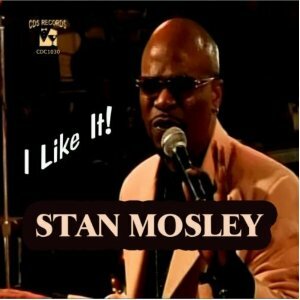 Expect more good things from Stan Mosley in the near future!